After playing Marvel's Spider-Man for over two hours, it's nearly impossible not to be extremely excited for what Insomniac Games achieved. 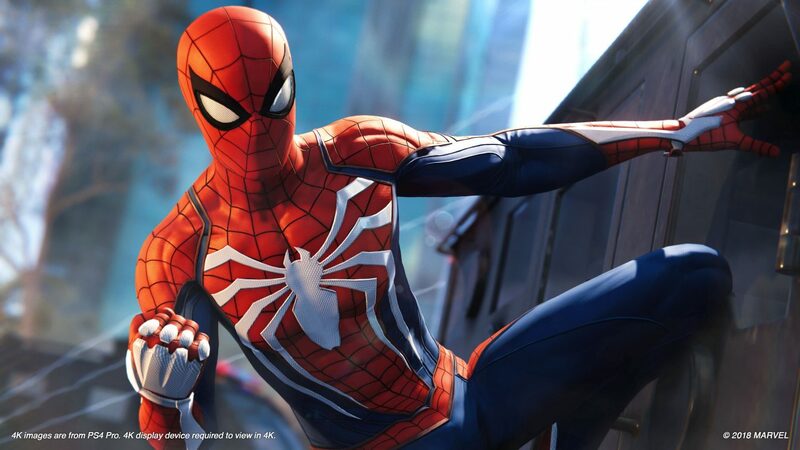 Insomniac Games created many awesome games in its long and glorious history, but never have I felt as much joy playing one of their tiles as I did a few days ago, when I got my hands on the first two hours of the upcoming Marvel’s Spider-Man for PS4. When the brief opening cutscene ended, I was already smiling from ear to ear due to how good the game looked, but the moment I was put in control of our friendly neighborhood Spider-Man it finally hit me: this could really be Insomniac’s masterpiece. I’ll actually talk more in-depth about the swinging in a separate article (it’s so good that it deserves its own), but its mechanics — which could easily be defined the make-or-break point of a Spider-Man game — are simply delightful. Normally it takes me at least a few minutes to get to grips with the traversal in an open world game, but in this one, I was Spider-Man in seconds. It’s so natural and fluid that it took me no time at all to start swinging around while feeling completely in control. Yet — and this is perhaps the most remarkable part of it all — for the whole two hours in which I played the game I never stopped learning new things and tricks I could do. With every discovery, I felt more and more like a master of the superhero trade. It was exhilarating and almost cathartic. Combat is no different. It feels intuitive and fantastically rounded, with a massive range of ways to make sure that Spider-Man’s enemies get to take a nap pronto. This is further amplified by Insomniac’s iconic proficiency in creating imaginative gadgets and by an interesting trio of skill trees that let you deepen your arsenal gradually. I never thought I’d say this about another game any time soon, and certainly not as early as 2018: yet I can say with no hyperbole that fighting in this game felt as satisfying as it does in God of War. Believe me: it’s high praise. This is not to say that the game is easy. As a matter of fact, there are plenty of rather challenging situations that require at the very least a bit of tactics. The game does a great job in walking that thin line between making you feel like a powerful superhero and making sure that you’re not omnipotent. After all, Spider-Man is probably one of the most “human” among Marvel’s superhumans. This is something that the developers nailed pretty much perfectly. The work done on pacing also deserves its own dedicated praise: the game goes out of its way to change things around on you, by throwing in enemies with different weapons, and slower moments in which stealth is either required or strongly viable. There are even little puzzles that require you to rest the spider-muscles and flex the spider-brain. They’re never too difficult or intrusive, but they’re great to catch your breath. 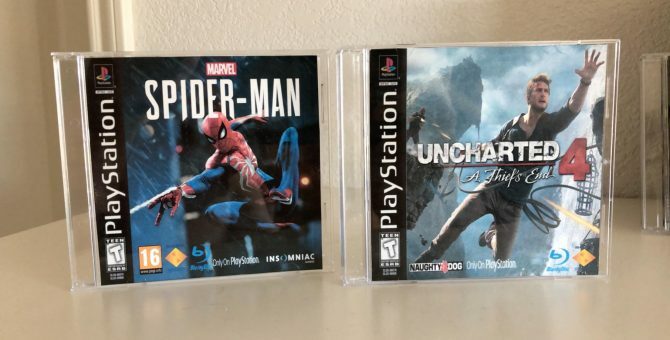 On top of that, there are times in which you don’t play as Spider-Man (I leave this to your imagination) which also provide a beneficial change of pace that makes the moment you don the suit again feel even better. During the time I was given to play, I never felt that a section of the game was too long or overstayed its welcome, whether it was combat against diversely armed goons, boss fights, moments of stealth, or even storytelling. 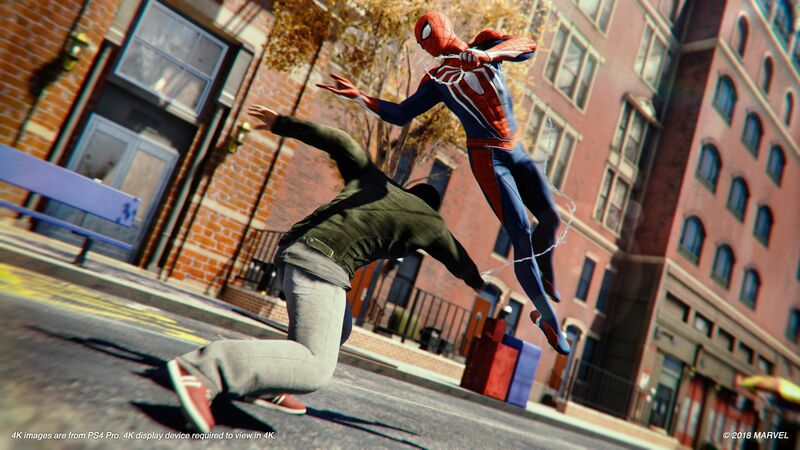 This is a balance that is difficult to achieve, and Marvel’s Spider-Man definitely succeeds, at last in the first two hours. I don’t think you need me to tell you that the game looks visually fantastic, but I will anyway. Insomniac Games’ proprietary engine turns every vista into a joy for the eyes. I was actually impressed by just how versatile it is. After moving from a cartoony open-world game like Sunset Overdrive to an even more stylized linear title like Ratchet and Clank without breaking a sweat, it now comes full circle back to open-world, but in a much more realistic style, depicting Manhattan in such detail that I just wanted to spend hours exploring. 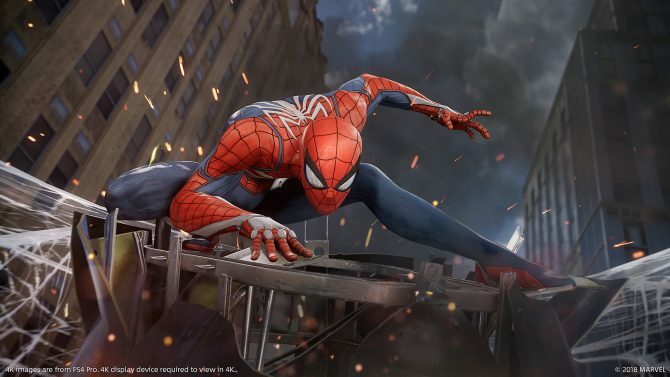 Whether it’s during the day or at night, at street level or swinging high among the skyscrapers, taking a breather while taking in the vistas or fighting for your life surrounded by enemies on all sides, Marvel’s Spider-Man looks superb. Remarkably, the streaming of the world is done without a hitch despite the fact that the city is definitely very complex in its design, and you can pick up a lot of speed while swinging. As a matter of fact, I don’t know for sure whether I’m moving very fast or the game just makes me feel like I am because Insomniac did a wonderful job in implementing just the right visual tricks to make the sensation of speed feel great. With speed also comes fluidity, and that’s something basically indispensable with an acrobatic improviser like Spidey. Animations aren’t just beautiful and natural on their own, but they also blend with each other perfectly, providing you with the impression of super-agility through every combo, and making the depiction of the character really feel believable. Visuals aren’t the only part of the production values that deserve high praise. The soundtrack is certainly worthy of the best Marvel films and enhances the epic sensation of being in control of a superhero. Enriched by great audio design and superb voice acting, the soundtrack definitely feels like it isn’t missing a beat when paired with the action, regardless of whether you’re enjoying a fast or slow moment. 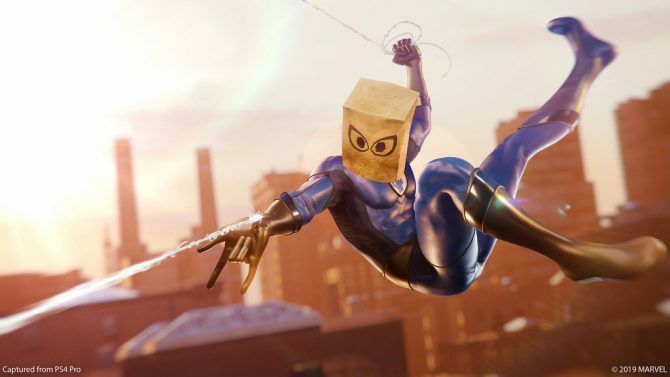 I won’t say much about the story, because a game like this has the potential to really enchant Spidey’s fans, and even minor “wow” moments deserve to be experienced without spoilers. Yet I really loved how each character was depicted. 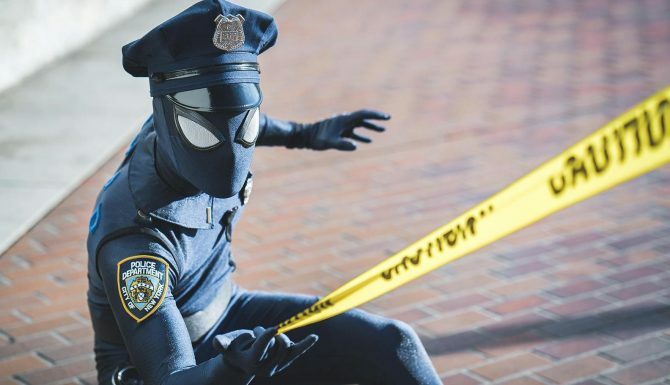 Insomniac certainly took some liberties with quite a few members of the cast, depicting them with interesting and even daring twists. Yet, nothing I’ve seen felt out of place. As a matter of fact, certain choices felt better than their counterparts in quite a few of the original comics and films. This is not to say that fans of the comics won’t find much to love. In the first two hours, I couldn’t find a departure from the established lore (and I’m using the term loosely, considering that there are so many variations already) that didn’t appear appropriate and respectful to the characters and the franchise. It really shows that many among the team love Spider-Man, and the game’s Manhattan is packed full of little details that will remind you of that basically at every corner. Incidentally, did I mention how much I love the Advanced Suit with the new white spider? I’m sure some will disagree, but I can’t overstate just how sleek and awesome it looks, especially in motion. 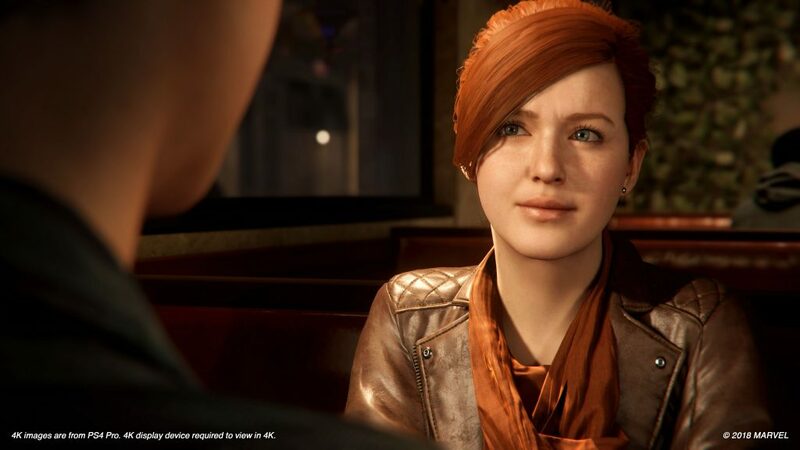 Ultimately, Marvel’s Spider-Man feels like a love song to the comics, to the films, and to the whole Marvel universe. It does justice to the original material and then some. Even more importantly, it pairs a great setting and an interesting story with fantastic, elegant gameplay. While I played only two hours, I honestly can’t imagine how this game could turn out less than awesome in the end. We’ll know for sure in a little over a month, but I couldn’t be more excited. 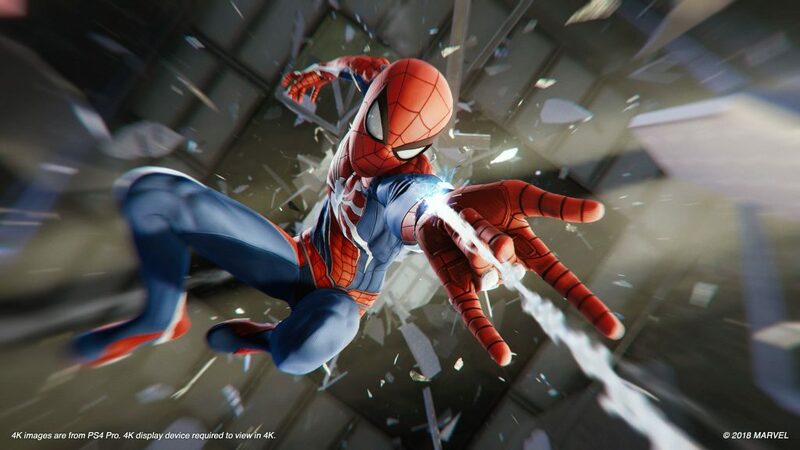 If you want to see and learn more about Marvel’s Spider-Man, you can enjoy some info directly from Creative Director Bryan Intihar, and quite a few lovely screenshots captured on PS4 Pro.